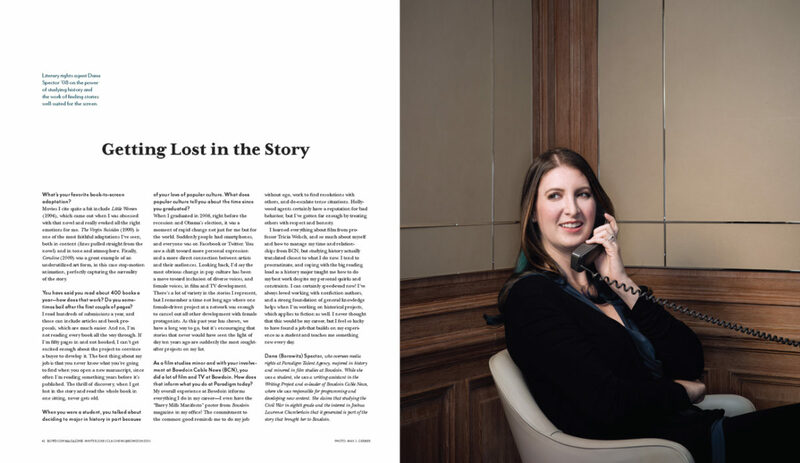 As authentic narrative communications, alumni magazines are a powerful tool for keeping graduates connected to the school and for engaging prospective students keen to get a sense of student life and outcomes. It is delivered to your home, but retains all of the familiarity and editorial integrity one expects from his or her alma mater. 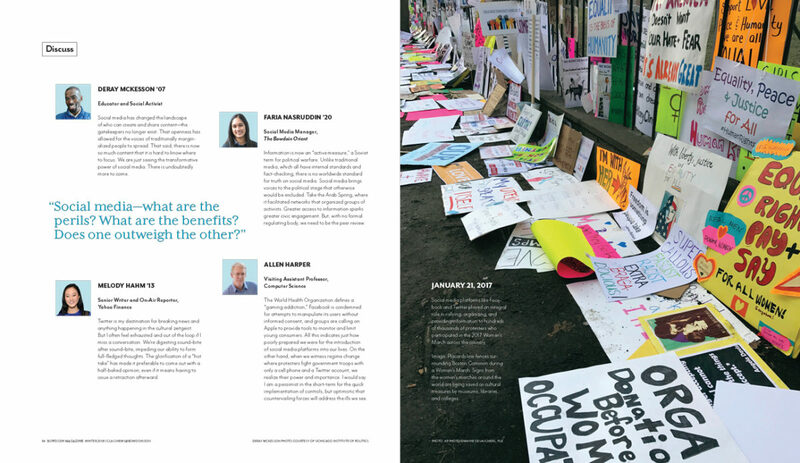 Bowdoin College, a small liberal arts college in Brunswick, Maine, had been producing a magazine with solid editorial framework, but the editorial team wanted to have it feel more unique. To start off, we implemented the school’s identity into the magazine. The school’s logo became the magazine logo, the fonts Mr. and Mrs. Eaves, based on the existing identity, were incorporated, and a modern color palette is judiciously used throughout the pages. 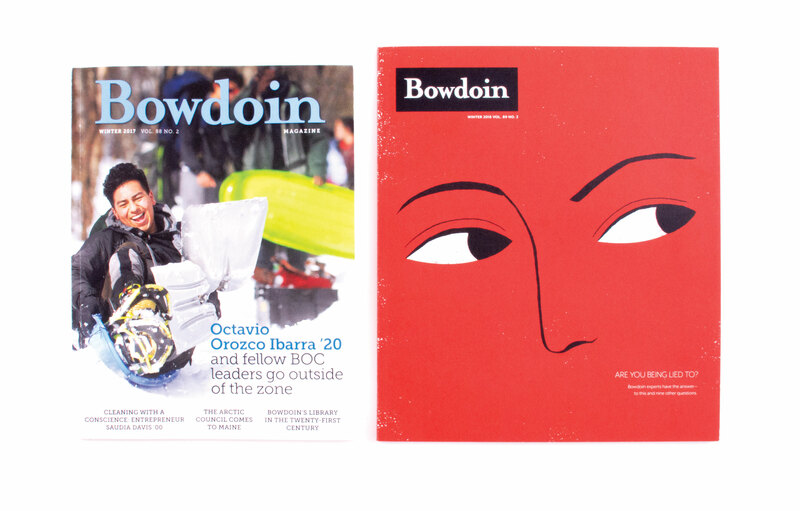 Readers, from alumni to people outside of the Bowdoin community, have had favorable feedback to the redesign. The former publication was dense with content and little breathing space—the antithesis of an experience at Bowdoin College. 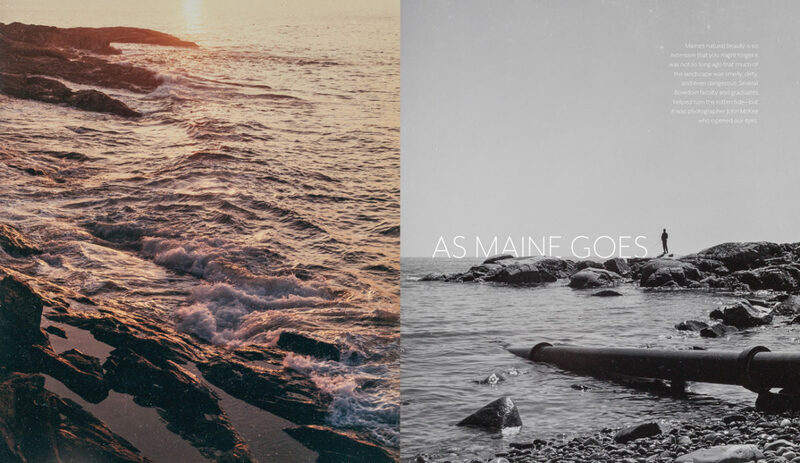 Being located in coastal Maine is an enchanting characteristic to those connected to the school, from current students to alumni. We opened up the pages with generous margins, a flexible vertical alignment, and fewer images per page. Since liberal arts colleges are often under scrutiny, we wanted to convey important outcomes of a liberal arts education: curiosity, broadened interests, and an aptitude for lifelong learning. The front of the book was renamed “Forward,” and is designed to have intriguing tidbits arranged throughout the section. 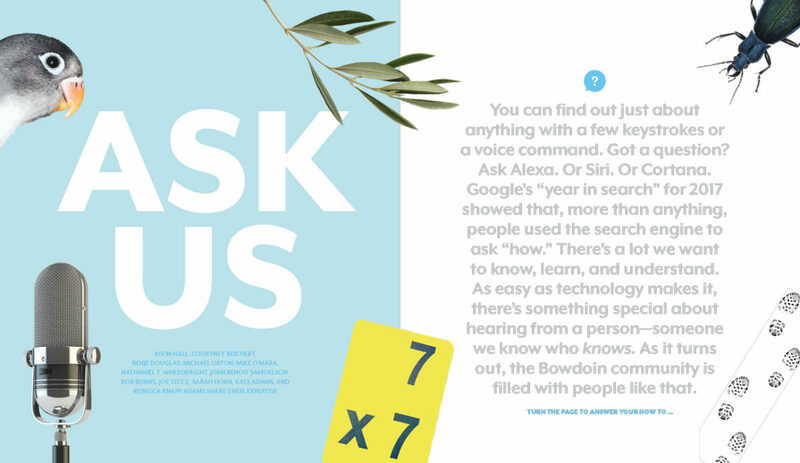 Also included are queries like “Did You Know?” to inform inquisitive readers of interesting trivia. Naturally, an important part of any place is the people. 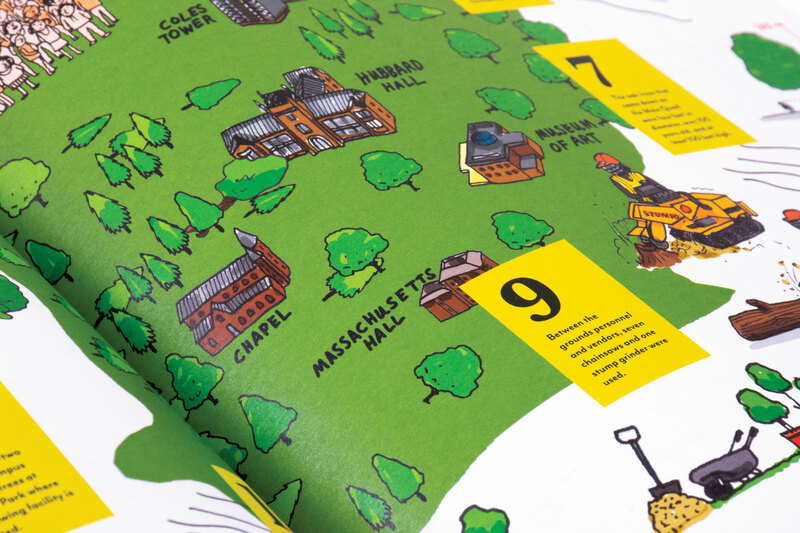 The front and back sections open with engaging portraits of Bowdoin community members paired with short narratives. 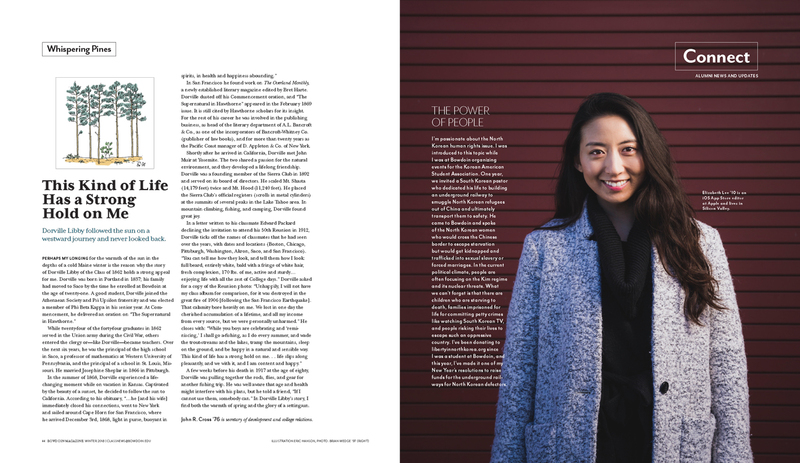 The features are rich with stories of alumni making an impact in the world. 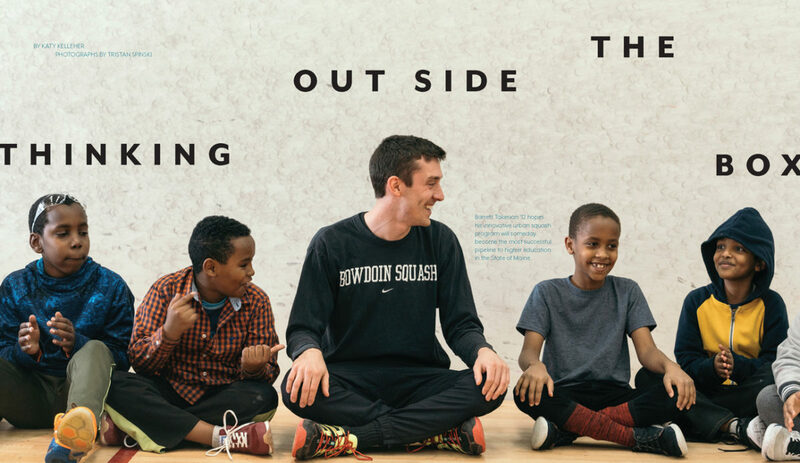 The newly-redesigned Bowdoin Magazine is sure to be a pride point and inspire engagement from alumni of all ages.